Please note that over the Easter and ANZAC Day holiday period Curtin Library’s opening hours will change. Please also note that the Document Delivery requesting service will be closed from 19th – 26th April. If you place a request for an article or item from another library it will be processed from Monday 29th April. Wednesday 24 April Staff services 8am to 6pm – swipe access as per normalNote: close time TBC. 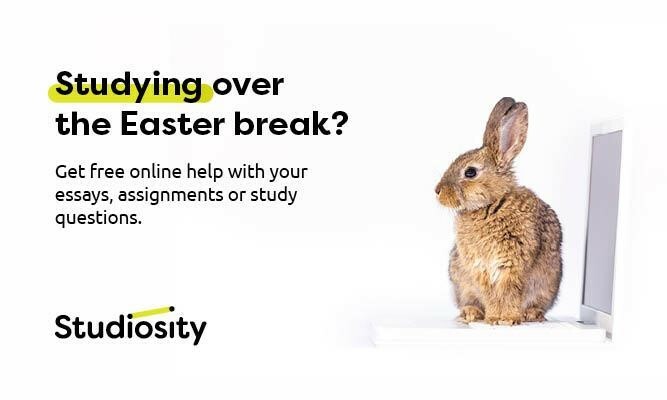 If you have assignments to work on or essays to write over the study break, Studiosity – your free online study help service is staying open, to make sure you always have the support you need. Log in via Blackboard when you get stuck, and ask a question in maths, stats, English, writing, science and more to a live specialist who can help you work through it. Closed only over the Easter weekend Friday 19 April – Monday 22 April. Or, upload your written draft any time you like, 24/7 and you’ll get comprehensive feedback so you can improve your work before you hand it in. No matter when you upload, the feedback will come back to you in around 24 hours. Open year-round, even holidays! Studiosity is available to students studying first year, second year and postgraduate units. The JCPML will be closed on Friday 19 April – Tuesday 23 April, and Thursday 25 April for Easter and Anzac Day. Endnote .ris file downloaded from the library website does not have endnote filter included by default. Once .ris from curtin library is opened, endnote program has a import filter selection pop up, while there is none if .ris is downloaded from the database. Endnote program is downloaded from curtin library. Curtin library guide does not include guide regarding endnote filter, thus had to rely on guides from other uni such as UWA and VU Amsterdam. Unfortunately, the catalogue is not always able to work seamlessly with EndNote and, in general, we don’t recommend that people export their references from there. Instead, we would recommend you use the databases which tend to be a lot more accurate in the presentation of reference information. That being said, you’ll find information on which import filter to select in the library’s Getting Started with EndNote guide in the section on exporting references from the Curtin Library catalogue (see the important notes box). The library at UWA have a service where you can SMS the library staff. It’s really good when people are talking too loudly. You should look into it. Thank you for your feedback and the suggestion which we will consider. You may also report problems like via email to Libraryenquiries@curtin.edu.au. This email address is monitored all the time that the Library Help desk on Level 2 is staffed and issues will be attended to as soon as possible once they are drawn to our attention. 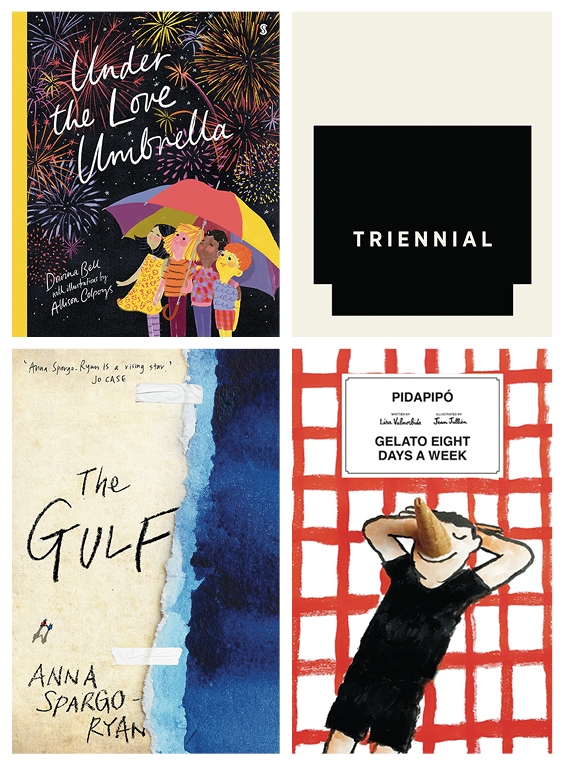 During April the Library will display the winners of the 2018 Australian Book Design Awards. Check out our Book of the Week as you walk into TL Robertson Library on level 2, then make your way to level 3 to see the full display. If you can’t visit us in person, check out our posts on Facebook to see the collection highlights. I would just like to suggest that I feel the AC at level 6 gets a bit too cold. You notice a lot of people wearing jumpers/hoodies. Yet still shivering. Especially when it’s 28 degrees outside, you don’t think to carry a jumper/hoody in your bag. However as mentioned it barely helps against the cold the library offers. Out of curiosity what temperature setting is the library set to? Perhaps there’s only a handful of us that think it’s too cold. Thank you for your feedback. The temperature of the air conditioning is centrally set at the University and not individually controlled by the Library. I will make sure to pass on your comments to the University Properties area responsible for the air conditioning to investigate. The Library is running a survey on whether you are finding the resources you are looking for. Between 1 and 12 April you may see a link to our survey in the Library Catalogue or on the Databases webpage. Please complete the short survey and let us know if you did or didn’t find what you were looking for. Your feedback will help us improve our services to you.